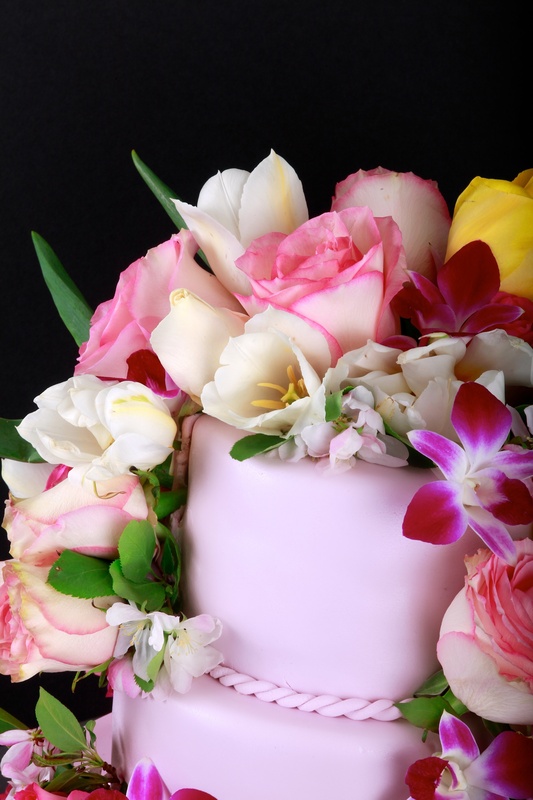 Using fresh, seasonal flowers to decorate a wedding cake has always been a very popular choice. The results are stunning and beautiful, and can tie in with the bouquets and boutonnieres of the wedding party. 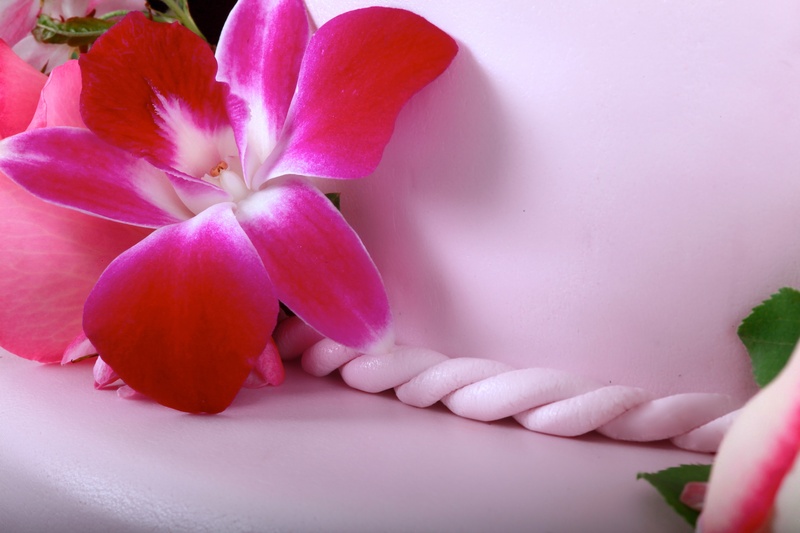 At La Bamboche, we work closely with our organic flower supplier to provide the freshest flowers for our cakes. 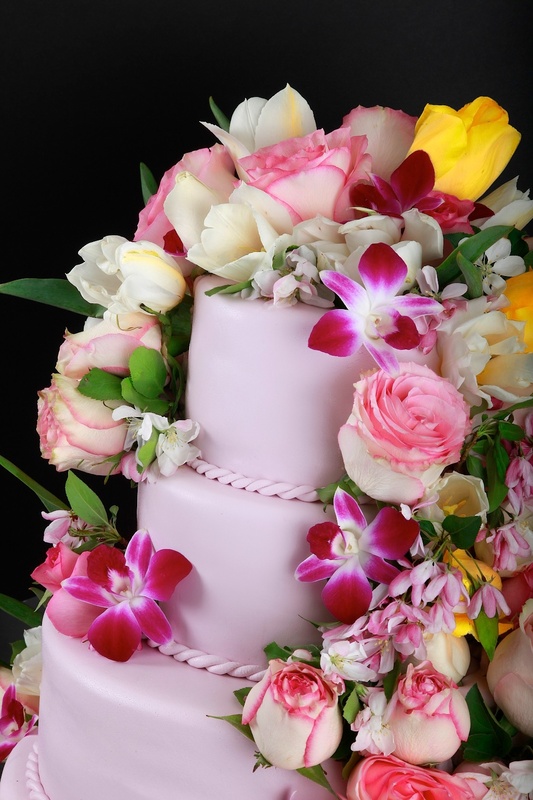 The flowers used for the cake should be organic and free of pesticides – flower stems should also be held in food safe plastic tubes, with the tubes going into the cake, not the stems. Some flowers are just not meant for decoration: calla lilly, tulip, hyacinth, hydrangea, pink carnation, daffodil, lily of the valley and iris. For a more extensive list, check it out here. Not to worry, though. 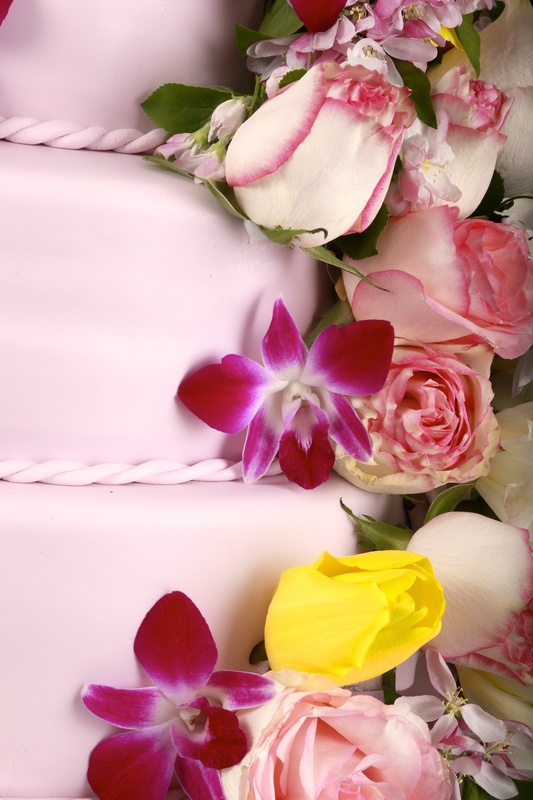 There are plenty of safe flowers for your cake: rose, orchid, petunia, daisy, tiger lilly, violet, sunflower, freesia. And of course, there are edible flowers, too: chamomile, chrysanthemum, dandelion, gardenia, jasmine, lavender, marigold and pansy. For this cake, the bride wanted the cake to be the canvas, and the flowers to be the paint. The muted pink fondant really showcases the vivid colours of the flowers, and standing at 4 feet tall, this was an amazing centre piece.